Tummy tuck surgery is not weight loss surgery. Contrary to popular belief, a tummy tuck surgery is not a weight loss surgery. In fact, it is best to be at a healthy and stable weight prior to your surgery. The true name of the surgery is called an abdominoplasty. An abdominoplasty is a surgery that removes excess skin and fat around the abdominal area, and repairs the abdominal muscle if it has separated. This separation of the abdominal muscle is called diastasis recti. In comparison to true weight loss surgeries, a tummy tuck has an end goal in mind which is different than the gastric bypass or sleeve. This is not a surgery where you can guarantee you will be back up and walking around and able to go back to work within a week. Many patients will take off work at least a week or two. The entire healing period can take up to 10 weeks for the muscle repair. During recovery, be prepared with lots of help. Have someone who can be dedicated to caregiving for your children and then best case scenario would be to have someone for just you as well. This recovery should not be misunderstood as relaxing. It is often described as painful and long. If you have been working out prior to the surgery, you will likely be de-conditioned within a month. Postoperative Depression is a thing. Postoperative depression is something that many people do not even know exists (read more about that, here). Essentially, feeling sad and lonely after surgery is normal and since the recovery for tummy tucks is so extensive, it is not unusual for patients to feel sad in the weeks after surgery. It may not need to be diagnosed as Post Operative Depression since it usually resolves itself once the patient is able to be independent and resume normal activity again. It is important to be aware of how common feelings of sadness, regret and loneliness are after this surgery in the immediate days and weeks. The scar for a tummy tuck will depend on if you got a mini or regular tummy tuck. For the regular tummy tuck, the scar goes from hip to hip. Yes, you read that correctly. It is LONG, and it typically sits above the bikini line. The way the scar heals will depend on how well you take care of it and other things out of your control, like genetics. So be prepared and do not go into it thinking the scar is minimal. In the photo below, a "regular" (not a mini) tummy tuck was done. What to expect in results. A board certified plastic surgeon will prepare you for realistic expectations. 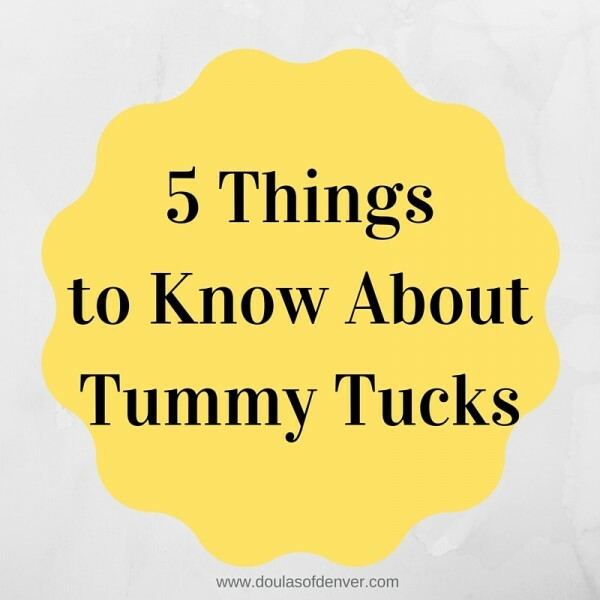 Tummy tucks are a major surgery with a very long recovery time. You can even be swollen even after your incision heals. After all is said and done, results of the tummy tuck can make your stomach flatter and help you lose excess skin. Don't make judgement on your results until you are at least 8 weeks post-op. Anything sooner and you may be disappointed as the swelling, healing and overall look of the abdominal area is not what it is going to be later on. Many surgeons believe tummy tucks are paired nicely with liposuction of the flanks. Here is a photo of one individuals experience with a tummy tuck. The top photo is her minutes prior to the surgery. The bottom photo is 10 weeks post op. As you can see, she is still needing to wear surgical bandaids over the incision.